No milk, no problem. This milk-less pancake batter only requires six ingredients and couldn’t be faster to whisk up in a bowl. 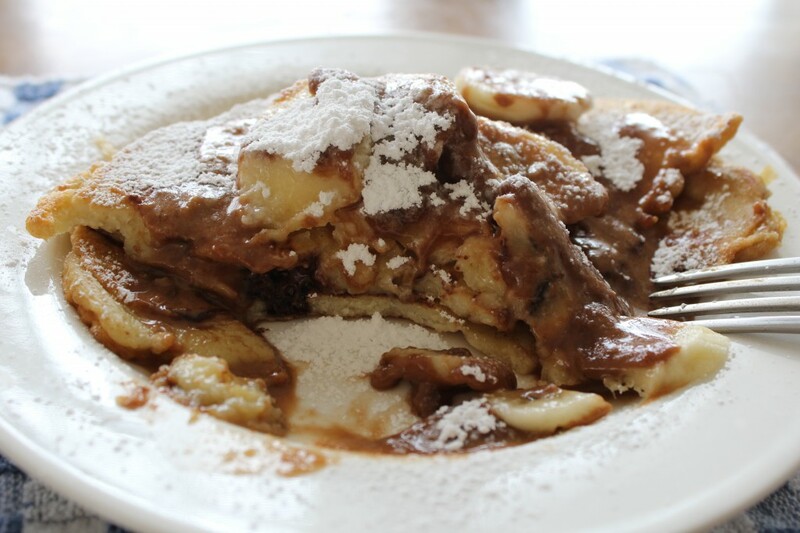 The texture is a little eggier than a typical pancake, and maybe that would have bothered me if it weren’t for the chocolate, creamy bananas and chocolate peanut butter sauce making that fact completely unimportant. If you’re looking to take advantage of your finals week free time, this decadent brunch is your answer. If you’re already eaten, pancakes for dinner don’t sound too bad either. 1. 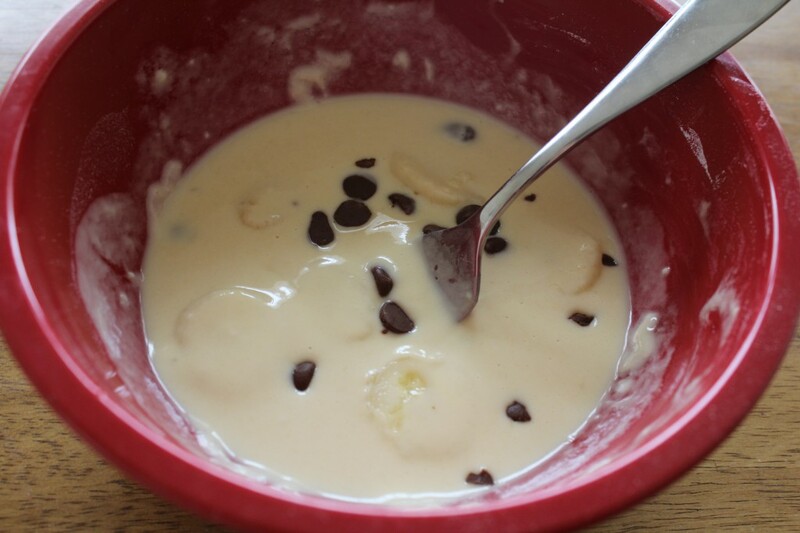 Mix all pancake ingredients minus the chocolate and bananas together in a bowl. 2. Slice banana and throw in about 6-7 slices. 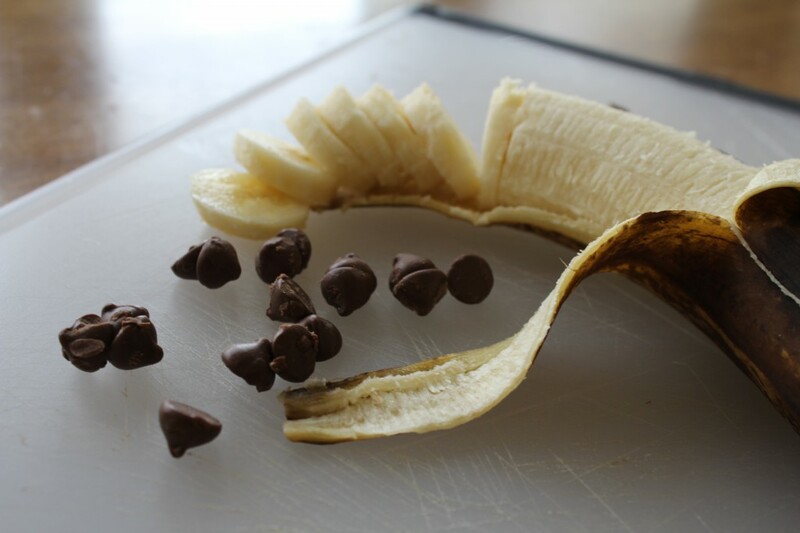 Toss in the chocolate chips and mix. 3. 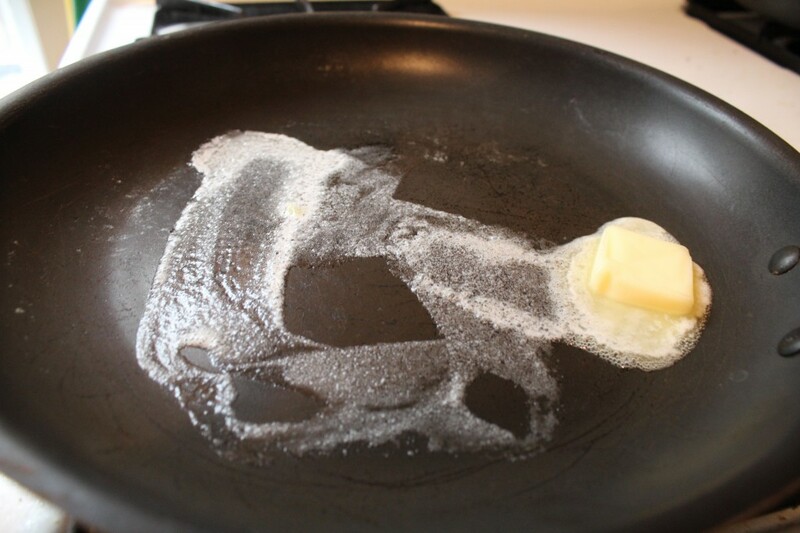 Melt a generous pat of butter in a pan on medium-low heat. 4. Pour the batter into the pan into the shape and size circle you want for your pancake. I made two medium sized ones. 5. While the pancake is cooking, throw together the sauce ingredients in a bowl. Melt together in the microwave for 20 seconds. Take out and mix until chocolate is melted into the sauce. If it seizes or thickens up too much in the microwave, add a bit more hot water to loosen it up. 6. 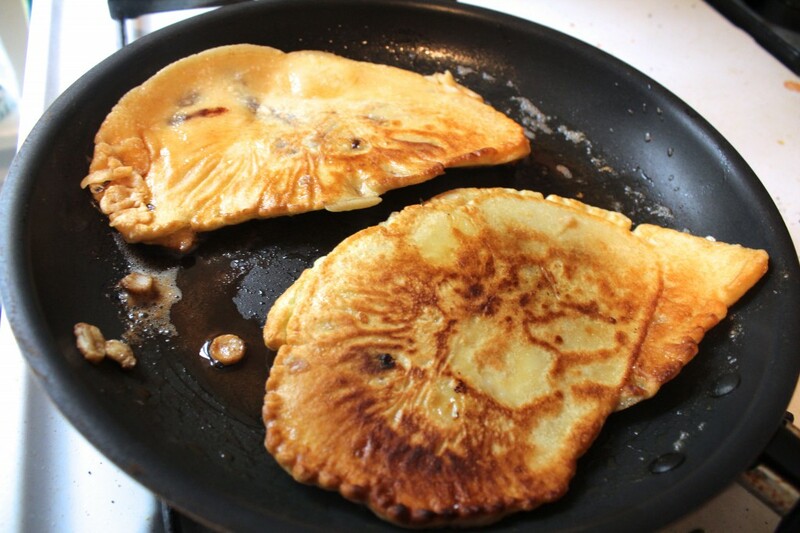 When the pancake starts forming bubbles in the batter, flip it and let the other side cook until browned. This should take 2 more minutes. 7. 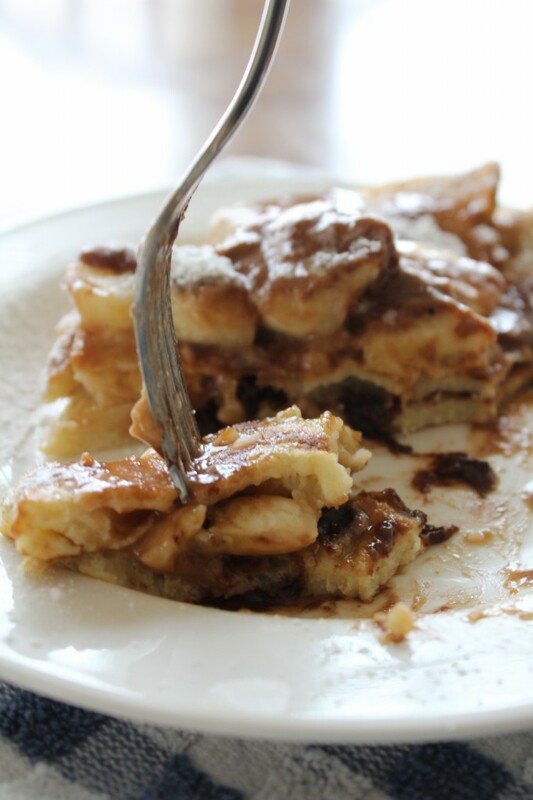 Serve the pancakes with the rest of the sliced banana slices, drizzled peanut butter chocolate sauce and a liberal dusting of powdered sugar if you’re feeling fancy.